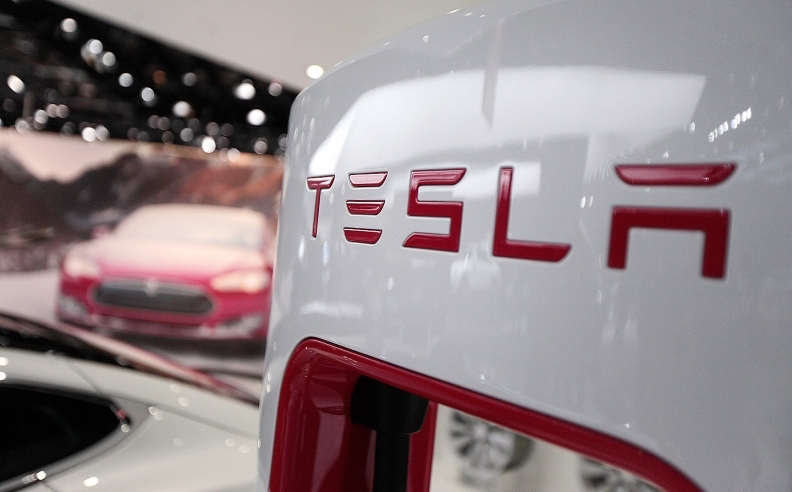 (Bloomberg) -- Tesla Motors Inc. beat its car-sales forecast for the second consecutive quarter with a 52 percent surge in the three months through June. Tesla delivered 11,507 Model S sedans in the period, the Palo Alto, Calif.-based manufacturer said Thursday in a statement of preliminary figures. The company predicted in May that it would sell 10,000 to 11,000 of the electric-powered car, its only model, during the second quarter. The automaker, whose biggest shareholder is CEO Elon Musk, reworked its Model S lineup in April, replacing the cheapest version with an all-wheel-drive car costing 7.1 percent more at $75,000. Tesla is also introducing the Model X all-wheel-drive SUV later this year and is considering offering a lower-priced third car in 2017. Tesla’s first-quarter sales jumped 55 percent from a year earlier to 10,030 vehicles, exceeding the company’s forecast by 5.6 percent. The second-quarter total was a record for the carmaker, which was founded in 2003 and began deliveries of the Model S in 2012. Tesla is also developing large-scale energy-storage systems for homes and businesses.